Ladies and gentlemen, do we have an exciting announcement for all of you aspiring artists out there. In partnership with our friends at Dark Horse Comics, we’re going to be running an art contest in March for the new “Abe Sapien” ongoing series. It’s pretty simple. As fans of the Mignolaverse know, Abe Sapien has been going through some changes, but when you get down to it the guy is the heart and soul of the “B.P.R.D.” We want you to share your interpretation of Abe as a character. His newly evolved form, his previous form, Langdon Everett Caul – you name it, you decide how you want to represent him – and you could win a pretty sweet haul. There are no rules for what you create. Creativity is encouraged, both in what you depict Abe as and what art medium you use. Judging will begin in the beginning of April, with all entrants being boiled down to a top three by a panel comprised of Dark Horse Editor in Chief and “Abe Sapien” co-writer Scott Allie and the Mignolaversity duo of Brian Salvatore and David Harper. The winner from there will be decided by none other than Mike Mignola himself, and Mike will be taking the piece to add to his own personal collection. 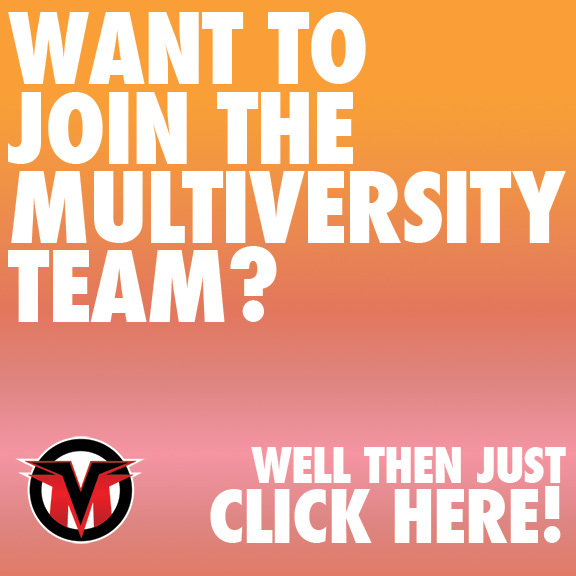 All pieces must be submitted to Multiversity at AbeSapien@multiversitycomics.com by 5 PM, Eastern Standard Time on March 31, 2013, along with your name, location and your retail store of choice. – Get it into AbeSapien@multiversitycomics.com by March 31. – Maybe win an amazing prize pack. Look for a ton more this month about the upcoming “Abe Sapien” ongoing series, including exciting interviews, informative columns, and our “31 Days of Abe” feature that highlights original pieces by incredible artists like Tyler Crook, Jim Rugg, Tim Seeley, Mike Norton, Sina Grace and more. Spinning out of “B.P.R.D.,” “Abe Sapien” series is flat out fantastic – Team Mignolaversity has already had the chance to read the first two issues – and both a perfect companion piece to what is going on over in “B.P.R.D.” as well as an excellent standalone book. Make sure you tell your local shop you want to add this book to your pull list – the Diamond Code for it is FEB130010. This is a great time to be a Mignolaverse fan. Prove how excited you are by entering this contest and maybe winning some awesome swag. By submitting your art, you are assigning all rights to the artwork to Mike Mignola. All pieces must be original. The winner cannot be an active professional comic book artist. Other restrictions may apply. The “Evolution of Abe Sapien” Winner Announced!